During the Renaissance, French and Italian nuns and monks used quilling to decorate book covers and religious items. Today quillers are popping up everywhere and the part-craft, part-artform is exploding. 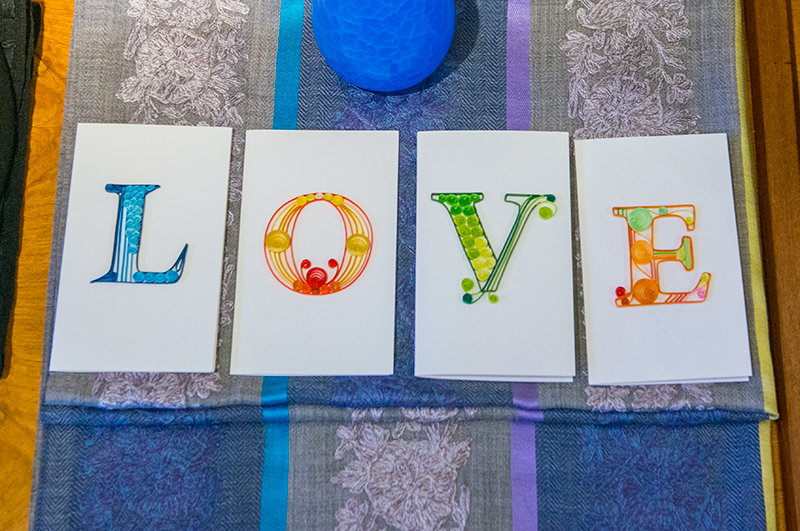 We LOVE these hand-quilled cards from, well, um, Quilling Cards. He he.